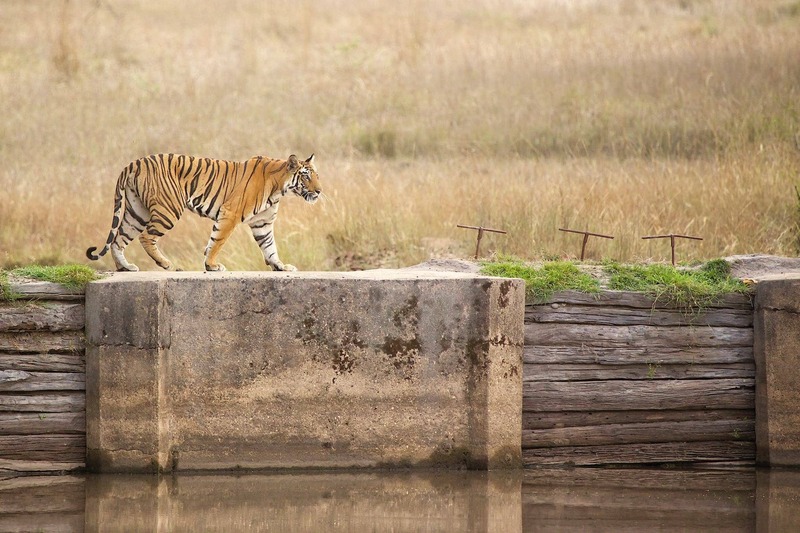 Join David & Pui Hang, of NaturesLens, in Umaria during December 2018; take the opportunity to capture images of the Bengal Tigers & other rich jungle dwelling wildlife. The landscape offers dense jungle & open grassland as the perfect backdrop for capturing images of this magnificent big cat. Group size: 4 - 6 participants - fully booked. Join NaturesLens to capture images of bengal tigers & other rich jungle dwelling wildlife, in India, during the India’s Bengal Tigers of Bandhavgarh past event. This past event is of 9 night/10 day duration on a Full Board, Non-Shared basis & costs £3249 per participant. 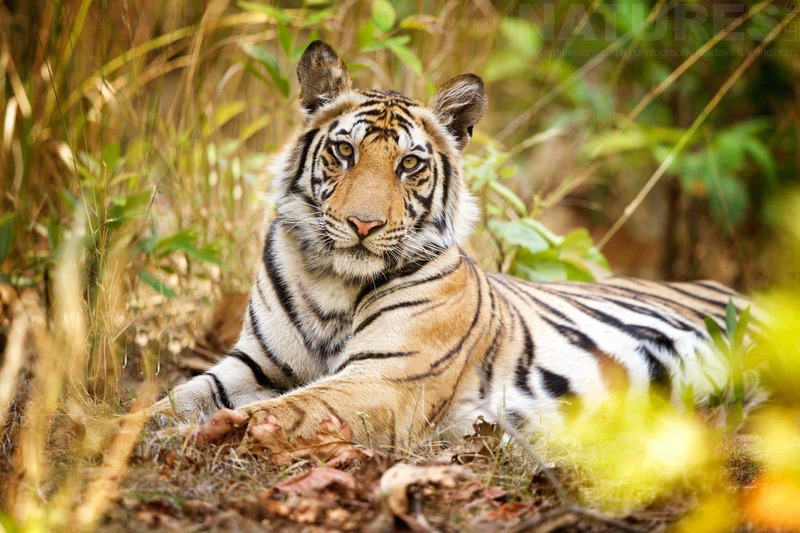 Sorry, all the available places for this past event, India’s Bengal Tigers of Bandhavgarh, have already been reserved; however, if you would like to be placed on a waiting list in case of any cancellations or to be notified should we decide to run another of these trips, please fill in the form below. For this photography holiday, we recommend that you pack neutral coloured tops teamed with neutral coloured trousers. The early mornings & late afternoons can be cool so be sure to bring a warm fleece or two. The temperature in Bandhavgarh in December can range from 18 to 25 degrees celsius so you should bring a hat to protect your head from dust & possibly sunburn. If you own a bandana, bring this along too as it will be useful to protect your nose & mouth from dust. Easy shoes are great for the hotel but you will need sensible shoes for when you are out & about. & takes place in Umaria in India, between the dates of 11th - 20th December 2018. It is ideal for photographing asiatic jackal, bengal fox, black kite, black vulture, brown fish owl, crested serpent eagle, dhole, egyptian vulture, gaur, grey mongoose, indian roller, jungle cat, langur monkey, leopard, little egret, little grebe, red jungle fowl, rhesus macaque, sambar, sloth bear, spotted deer, striped hyena, tiger, wild pig & more. This past event is led by David & Pui Hang Miles for NaturesLens. Group size for this past event is a minimum of 4 participants & a maximum of 6, plus David & Pui Hang. We consider this to be an event of Easy level of exertion, if you have any questions about your suitability for this event, please contact us prior to making a booking enquiry. The past event starts & ends at Delhi International Airport. .
Deposit required to secure a place: £600 payable upon making a booking. Final balance payment due: September 11th, 2018*. Bookings made after this date will require the full payment to secure a place. Bookings close: August 1st, 2018. Whatever your query regarding our photography holiday, India’s Bengal Tigers of Bandhavgarh, please fill out your details below & we will get back to you.